I just completed an engagement in a legal case in which a motorcyclist sustained severe injuries because of what he claimed was a municipality's failure to properly maintain a roadway. While riding along with a friend on a freeway early one morning, these two riders found themselves confronted with a rising sun ahead of them and claimed that visibility was so adversely effected that they elected to pull off the road in order to don sunglasses. Their visibility was not so poor that they were unable to clearly see the roadway ahead of them. They spotted a merging on-ramp ahead with a striped gore between the slowest traffic lane and that merging lane. That gore was at the end of a shoulder lane next to the slowest traffic lane. The motorcyclists were traveling in the slowest traffic lane. They moved onto the shoulder lane and continued traveling with the intention of stopping on the gore to change their glasses. At the end of the shoulder was a drainage grate that the first rider elected to ride over. His bike 'bottomed' and ejected the rider into the air and when he landed he suffered broken bones and severe road rash. His motorcycle was totaled. The second rider stopped before reaching the grate without incident. In deposition, the injured rider claimed that it was obvious to him that stopping on the gore to change into his sunglasses was 'safe' in that from there he had complete visibility of traffic on both sides of him for when he took off again and that it was wide enough so that traffic on either side of him would not be a problem. 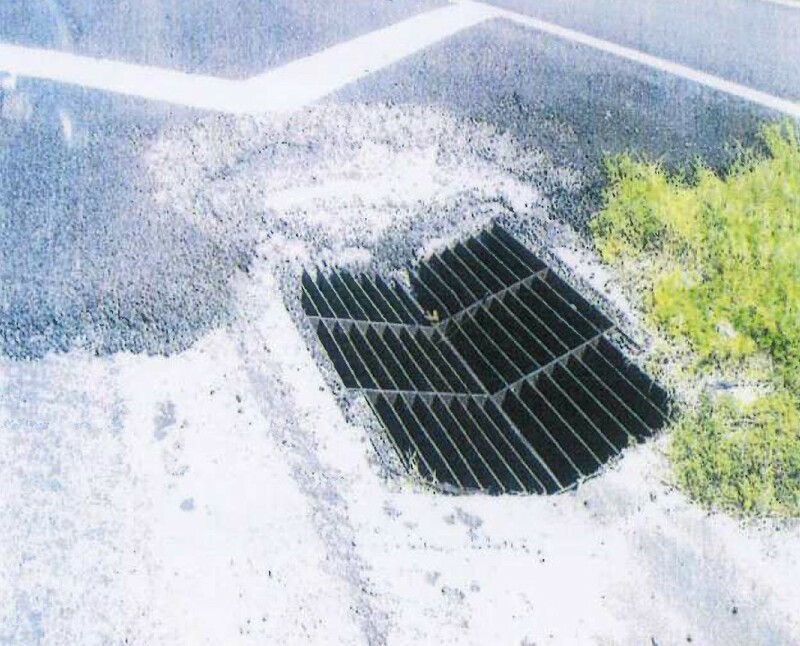 The claim was that the municipality failed to properly maintain the area around the drainage grate and that there was erosion beyond the grate that caused the motorcyclist to lose control of his bike. The plaintiff's (the motorcyclist) attorney brought in only one expert witness - a construction engineer - who argued that there was indeed roadway erosion beyond the grate, that that erosion contributed to the accident, and that the grating should not have been latitudinal as such a layout 'could trap bicycle and motorcycle tires', further contributing to the accident. Nine days before the trial I submitted a single picture into evidence that I had added some graphics too and some written opinions on the matter. At the very first opportunity thereafter the case settled. The plaintiff's side apparently decided that the only thing I could contribute was an argument about whether or not a motorcycle could safely handle riding over such a drainage grate. Not true. No reasonable and prudent rider of a motorcycle or driver of an automobile would believe that intentionally stopping on the gore area past the drainage grate would be safer than stopping on the shoulder lane before he got to the drainage grate as there is traffic only to his left when on the shoulder lane (protective median to his right). Furthermore, no reasonable and prudent motorcyclist would approach the gore by riding in the drainage ditch (gutter) to the right of the shoulder lane. There can be no doubt that Mr. XXXXXXX knew he was riding in the drainage ditch instead of in the shoulder lane as there is a shoulder lane seam (drop off) that had to be crossed to get to the drainage ditch. 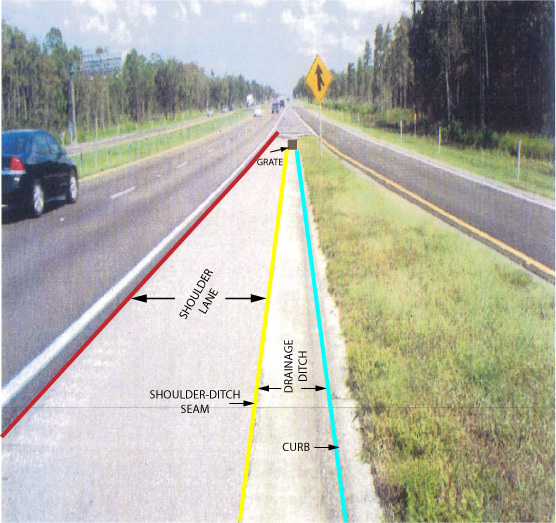 The shoulder lane is obviously wide enough for relatively safe motorcycle travel and there is no possibility of encountering the curb while in the shoulder lane. In other words, Mr. XXXXXXXX deliberately chose to ride in the drainage ditch and it follows that he deliberately chose to ride over the drainage grate. Those two decisions along with the decision to stop on the gore instead of on the shoulder lane were irresponsible elections that together were the proximate cause of the accident. It is not incidental that plaintiff's claims that the drainage grate was in, and that he was riding in, the shoulder lane are both demonstrably false. A case can focus on a technicality or what the attorneys expect to be the arguments used, but because of a lack of special knowledge the case can fail to instruct the jury about other, possibly more important information. An expert's testimony can change the direction of a case - sometimes unexpectedly.